Huge savings while supplies last, We have been told by our suppliers that prices will increase this summer due to transportation cost. Web Portal, allows you to access your account. You can pay invoices, order oil, request service. You will need your email address and your Crowley account number to start. Want to be a Crowley customer? Sign up here. Why Choose Crowley Fuel? We Deliver! We Deliver Service.​ ​Quality & experience is what you want in a service company and that's what we deliver! We Deliver Peace of Mind. Winter or summer, day or night, you can depend on us to be there for you with 24/7 fuel deliveries / service. We Deliver Responsibility. We care that’s why we deliver BIOHEAT. A better, safer, cleaner, product for the same price. We Deliver Relationships. For 3 generations, Crowley has cared for our customers. This is our community too- we live and work in your neighborhood. 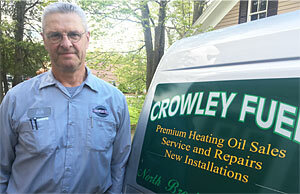 ​Crowley Fuel's , Bob LaFlamme has more than 29 years of experience working in the home heating industry. Throughout that time, Bob has accumulated a lot of knowledge about how to heat your home, how best to conserve energy and how to reduce the cost of buying oil. Bob isn't just interested in selling you oil - he also wants to give you the information you need to become a smarter consumer of oil- through newspaper articles, educational seminars and his blog. Click the picture for Bob's Blog! Once a year oil treatment, that will pay for replacement of an oil tank if it were to leak. Learn more about Bioheat. The better safer cleaner burning fuel. System that alerts us when your oil tank is at 1/4, if there is low temperature in the home, or if your burner locked out. 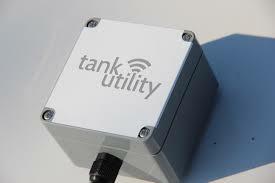 Check the level of your tank from any smartphone, tablet or PC from anywhere. © 2017 Crowley Fuel Company, Inc.
​Serving the Central Massachusetts area including Brookfield, East Brookfield, West Brookfield, North Brookfield, Gilbertville, Hardwick, New Braintree, Oakham, Rutland, Fiskdale, Sturbridge, Ware, Warren, West Warren, Leicester, Spencer and Charlton, MA.